Of Course The 2022 Qatar World Cup Will Be Too Hot! In eight years, no one will go to the World Cup. Not because soccer (or football, I suppose) will have lost any popularity, but rather because it is just too damn hot in Qatar. On Friday, FIFA president Sepp Blatter told Swiss channel RTS that it was a "mistake" to award the 2022 World Cup to Qatar. To which we say, duh. Blatter justified the terrible decision by saying, "You know, one makes a lot of mistakes in life." This is true, but most mistakes don't put hundreds of athletes in danger of severe heatstroke. Despite a "technical report [which] indicated clearly that it was too hot in summer," the FIFA committee in charge of assigning games to venues still decided that playing in 105 degree temperatures would be peachy. Hint: it won't be. The World Cup, one of the most highly anticipated sporting events in the world, occurs once every four years and features 32 teams vying for the top title in soccer. This year, Rio de Janeiro, Brazil, will have the honor of hosting the games. Their average temperatures in June hold steady in the 70s, a much more civilized temperature for playing a sport that requires non-stop running for 90 minutes. 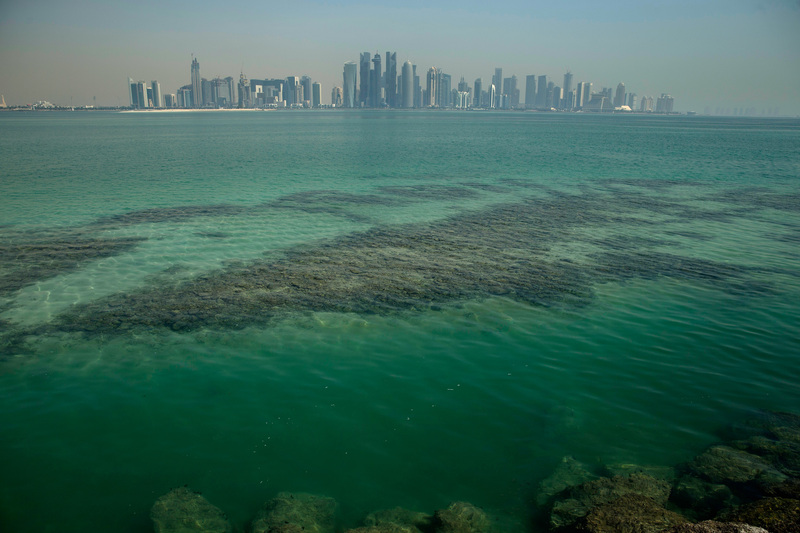 On the other hand, the average temperature for Qatar in June is reported to be 41 degrees celsius, which translates to 105.8 degrees fahrenheit. That's right, 105.8 degrees. The hottest city in the U.S., Phoenix, Arizona, has an average June temperature of 104 degrees. And you don't see a lot of outdoor sporting events being held in Phoenix during that time period. In fact, outdoor sports are not really played in the U.S. during the hottest parts of the year, as football season doesn't begin until September. But this will not be the case for the many hundreds of athletes who may still have to travel to Qatar in 2022 for the World Cup. An average soccer field ranges from 100 to 130 yards long, and is 50 to 100 yards wide. Players are in constant motion, chasing a ball that can move the length of the entire field in a second. Soccer players have been tracked to run 9.5 miles over the course of 90 minutes. By contrast, baseball players barely run 100 yards over the course of an entire game. Bases are a mere 90 feet apart, so even a homerun is only 360 feet. At temperatures of 106, heatstroke becomes a very serious and very dangerous possibility. Heatstroke generally occurs when the body temperature surpasses 104 degrees, and with outdoor temperatures compounded by constant and vigorous movement, it seems that the Qatari World Cup is a recipe for heatstroke disaster. Even for those not on the field, simply sitting as a spectator under the brutal sun can quickly lead to dehydration and other health complications, which the FIFA committee is now taking into consideration, although the average temperature in Qatar has not changed since they originally made their decision. FIFA will reassess the location of the 2022 World Cup following next month's games in Brazil. And we hope that this time, they take the weather into consideration.